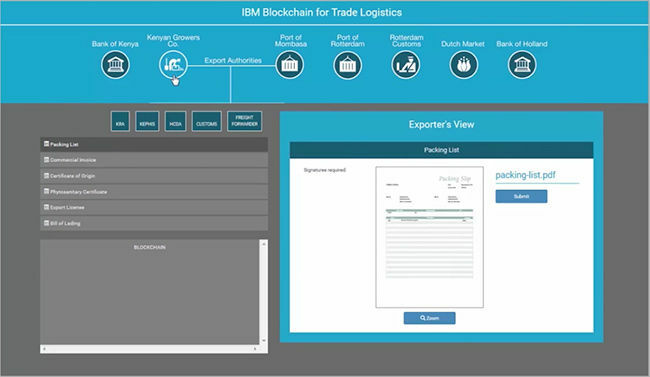 Blockchain is all set to transform supply chain management – theoretically. Is it even possible in the real world? In the world of technology, buzzwords come and go every single year. One could say that buzzword of today is Artificial intelligence, but here we are looking at one that is all set to take over that role very soon if it hasn’t already – blockchain. While many discussions and a large portion of the interest around blockchain revolves around its implications for the financial sector through cryptocurrencies and more, another sector that could be greatly benefited from blockchain technology is supply chain management (SCM). However, why would the supply chain management sector need an intervention? There was a time when supply chains were quite simple since most of the actual supply was done locally. Today, a standard supply chain spans the globe, involves hundreds of stakeholders, a multitude of invoices and documents and possibly endless ways for the entire thing to go wrong. While the rest of the world is moving ahead towards interconnectedness, current SCM systems have fallen behind. A particular shipping container originating in East Africa and going to Europe, according to shipping giant Maersk, needs to pass through 30 people and organisation with a cumulative number of interactions that crosses 200. Within a given supply chain today, there are multiple data silos. These are points where the data is isolated and is not connected to other points on the chain. As a result, there’s little importance on maintaining the integrity of what’s flowing through the supply chain, resulting in contamination, counterfeiting, and poor efficiency. Needless to say, this not only hurts the companies but their customers too, along with the environment through wastage, as well as other companies who are invested in making the supply chain sustainable. Additionally, today’s customers are highly technology friendly and environmentally conscious. Most customers want to know where the product they’re purchasing comes from, how it was made, and what is its current status with as much precision as possible. This pressure on supply chain stakeholders is also something that blockchain implementations can solve. As a concept, it is easy to see how blockchain would help the ailing SCM systems through security and transparency. However, more than that concept is needed to visualise real-world results before they have happened. Since it isn’t the concept but the specific implementations that will solve problems. Let’s consider one particular implementation structure. A typical supply chain today involves a network of manufacturers, suppliers, logistics, transport, retailers, insurers, banks, farmers, customers, finished products, intermediate stages and raw materials. The goal of a blockchain implementation would be to make every aspect of this chain visible and accessible to every stakeholder. Take coffee, for instance. For most variants, coffee is grown in remote areas and needs to be transported huge distance to reach your shelves. On top of that, due to numerous factors such as climate change, weather and even local disturbances, prices are volatile. If you look online you’ll find numerous cases where coffee plantation labourers have been repeatedly abused by the system. Blockchain won’t be able to solve all of these issues but might lead to a cascading effect starting from one end of the supply chain to another. Bext360, an AgTech startup, has implemented the blockchain to improve tracking in a global coffee supply chain. After successful pilots in Uganda, California and Ethiopia last year, it is now live for the product of Ireland’s Moyee Coffee. This implementation allows the company to pay each coffee maker, machine operator, and more the moment the coffee is sold. This would keep the cash flowing in allowing farmers to pay back their loans. It makes the entire product traceable, which is an obvious benefit for the company but also lets particularly differentiating customers pick the right coffee depending on their preferences. It is not just about preferences, however. According to the World Health Organisation, about one in ten people fall ill and 420,000 die every year due to contaminated food – that’s roughly three people since you started this article. It still takes pretty long to identify the source of contamination. Recently, in 2017, it took more than 2 months to determine the farm source of a salmonella outbreak. 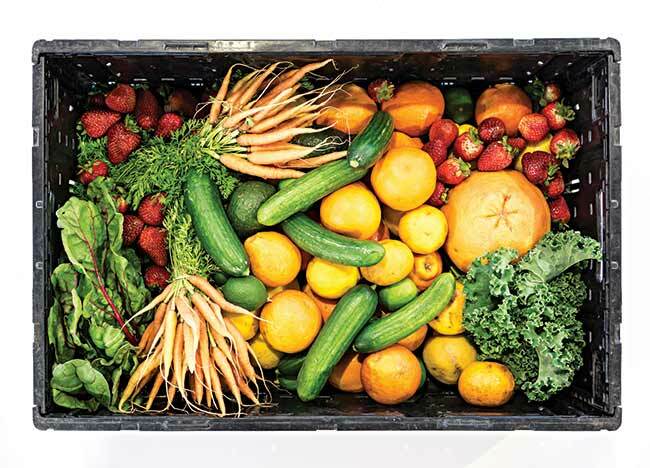 A consortium formed by IBM and a number of companies invested in the food industry has taken this up as the first issue to be targetted by a global food supply blockchain. To understand how this would work on the ground, let’s assume there’s a supply chain based blockchain called Randomchain. 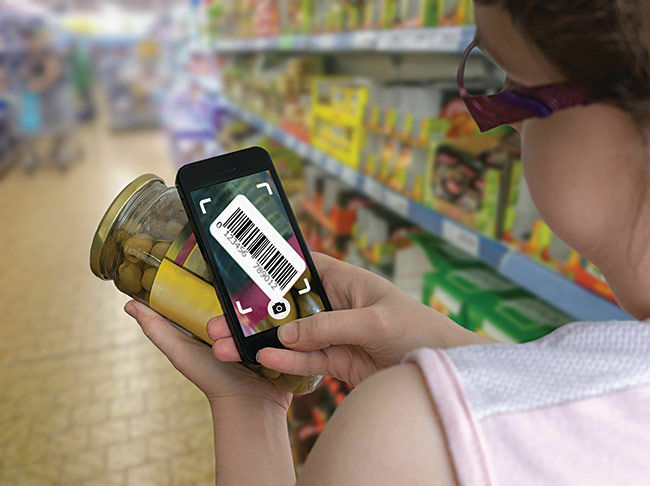 Before a product starts its journey on Randomchain, it is appropriately tagged using RFID chips which can be scanned for updates pertaining to that particular products at any point on the journey. On the other hand, an entire consignment of such products, when shipped, is updated on a central blockchain based dashboard. This is done by uploading a smart contract that is visible to all relevant stakeholders along the chain. Take the coffee example from earlier. A shipment of coffee from East Africa to Mumbai would first entail the appropriate tagging of the product, the packaging and the shipping container. At the same time, the uploaded smart contract would be visible to the relevant port authorities in East Africa, Mumbai and any intermediary ports the ship would have to dock at. Only once the signatures of all the authorities are obtained will the product be shipped. This would entail accountability into every stage. If at any point in time the product is lost or tampered, the point responsible can be immediately found and appropriate insurance paid out to the affected parties. Is blockchain logistics a dream too big for itself? Currently, it isn’t the idea itself that is holding back widespread blockchain adoption in SCM, it is the accompanying costs of such implementations. As with any other distributed ledger, blockchain in supply chain management incurs high processing power in its proper form. While concerns like inter-company privacy can be addressed by introducing child chains with their own privacy permissions, incentivising the actual maintenance on the blockchain requires the introduction of tokens. This, on the other hand, would bring about the question of who implements the blockchain and the associated token (at least for the primary parent chain). Also, inter-country cooperation on the transparency required for SCM on blockchain could also be an issue that hinders this technology for another five to ten years until it can be addressed.